Wisdom teeth, formally known as the third molars are the four teeth present one at each quadrant of the teeth in the back corner of your mouth. It is identified as the most commonly impacted teeth in humans. This is because historically, humans tend to lose teeth often due to the lack of dental care. Therefore, wisdom teeth had enough space to grow. In recent times, people have better dental health so the wisdom teeth rarely develop into a functional position. Also, modern diet is softer when compared to the coarse and raw foods our predecessors had. According to the report of American Association of Oral and Maxillofacial Surgeons, 90% of people are affected by at least one impacted wisdom tooth. Wisdom teeth removal cost in Sydney is high. But dentists usually suggest extraction as the only solution for those affected by impacted tooth as it has many undesirable consequences. What happens if you have impacted wisdom teeth? Annual dental inspections can easily find if your wisdom teeth are impacted before they show symptoms. If you haven’t realized it earlier, the impacted tooth affects the gum tissues and makes it infected and swollen. Other symptoms include pain, bleeding gums, swelling and ache around the jaw, bad odour, headache and food tasting badly. The other long term complications are adjacent tooth damage, development of cyst, and bone damage. As we grow older, recovering from wisdom teeth removal surgery becomes hard. Recent studies show that about 30% to 60% of patients who maintain their asymptomatic wisdom teeth undergo extraction between 4 to 12 years after their first appointment. Most dental insurances cover at least some portion of the cost of wisdom teeth removal in Sydney, as it is not a cosmetic procedure. It is carried out by either your dentist or a specialist surgeon. Once you have decided to proceed with the surgery, you would be asked to get an X-ray of your mouth. This would help your dental health provider to determine who should perform the extraction. The extraction of a tooth which is fully visible is a simple process. But impacted wisdom teeth do not have enough area to grow properly and extracting it usually requires removing gum tissues and bone. Therefore only a well experienced oral surgeon could perform the surgery successfully without any complications. If you are suffering from any infection, medications would be given to heal it. Surgery should be delayed until then. Your surgeon initially apply a substance to numb the areas that are about to be injected. Then, he/she injects one or more injections surrounding the area of extraction. You would be totally awake during the procedure. Other than some pressure or movement, you wouldn’t feel any pain. It is given through an IV line and your awareness would be suppressed because of it. No pain is involved. It is administered either through nose or IV lines or both. You would lose your consciousness but all vital signs would be closely monitored by your surgeon. You won’t have any pain and would not have any memory of the surgery. The oral surgeon would make an incision on the gum tissues to have access to both the tooth and bone. If the bone blocks the tooth root, he/she removes it. Then the tooth is divided into sections, to ease the process of removal. After the removal, any debris from the tooth or bone present in the area is cleaned away. Sometimes, a stitch is made to speed the recovery. Then gauze is placed over the site to manage bleeding. 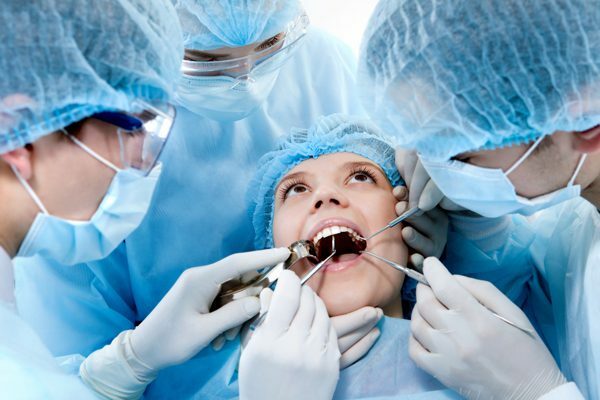 If you are worried about the cost, there are clinics available that provide cheap wisdom teeth removal in Sydney with high quality and safety standards. When Wisdom teeth Removal in Sydney is needed? Wisdom Teeth are impacted: Because they’re so far back in your mouth, wisdom teeth may not come in normally. They can be trapped in your gums or jawbone, which can be painful. Wisdom teeth come in at the wrong angle: They may press against your other teeth. Your mouth isn’t big enough: Your jaw has no room for an extra set of molars. You have gum disease or cavities: You may not be able to reach your wisdom teeth with your dental floss or toothbrush. What are the different wisdom teeth removal methods? Wisdom teeth removal methods vary depending on the position of the teeth and how deep they are embedded or impacted in the bone. If the wisdom tooth is impacted, then any bone blocking the impacted tooth is removed and often, the tooth is cut and delivered in multiple pieces. Depending on the actual situation, a patient may choose to be awake during the wisdom teeth removal process or have general anaesthesia. The oral surgeon will discuss the options at the consultation appointment. Most patients prefer to have either local anaesthesia [which only numbs a small area] or general anaesthesia [which renders a person unconscious during the procedure]. What you can expect during wisdom teeth removal procedures? Your dentist or oral surgeon may use one of three types of anaesthesia, depending on the expected complexity of the wisdom tooth extraction and your comfort level. Options include: Local anaesthesia, Sedation anaesthesia and General anaesthesia. Simple wisdom tooth removal, for straightforward wisdom teeth removal with no complexities cost $225 to $250. Surgical wisdom tooth removal, for procedures where complexities are found during initial assessment cost $ 250 – $ 375. It’s as low as $150 and not more than $970 for all 4 wisdom teeth extraction. Most procedures are performed under local anaesthesia in our clinic. If it’s decided that your case needs to be performed under IV sedation or general anaesthetic, additional hospital and/or anaesthetist fees may apply.